Announcement Looking for fun and bright quilted items? I offer bags, pillow covers, quilts along with other handcrafted items. Please check construction and shipping times listed prior to ordering. Follow me on Instagram at laurispringer. Looking for fun and bright quilted items? I offer bags, pillow covers, quilts along with other handcrafted items. Please check construction and shipping times listed prior to ordering. Follow me on Instagram at laurispringer. Lovely Easter bags for our grandchildren's goodies. Many thanks they are wonderfully made and lovely colours. Beautiful pouch!! Love the colors and fabrics!! Absolutely darling bag!! Such happy fabrics!! Absolutely Beautiful! Going on my entryway bench this summer! Thanks!! Absolutely Beautiful!! These will be on my entry bench this summer! Thanks So Much!! 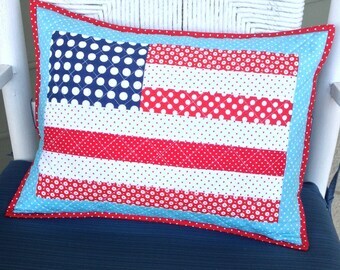 New quilted items in my Etsy shop this week! 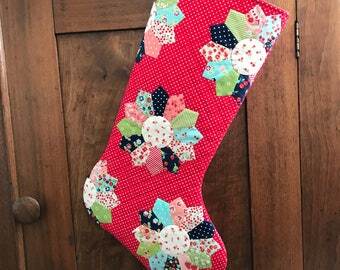 New patchwork Christmas stockings available in my shop today. New Quilted Christmas Stockings are available! I am a maker of things..... many things! I have been sewing and creating for a long time now. If there is a problem with your order, please contact me as soon as possible after receipt of your shipment. We want you to be pleased! I accept Paypal and credit cards to ensure a fast and smooth transaction for both of us.